In 2001, The Denver Post's JoAnne Ditmer conducted a fairly extensive survey of the region's art curators and historians to come up with a list of the most important Colorado artists of the 20th century. 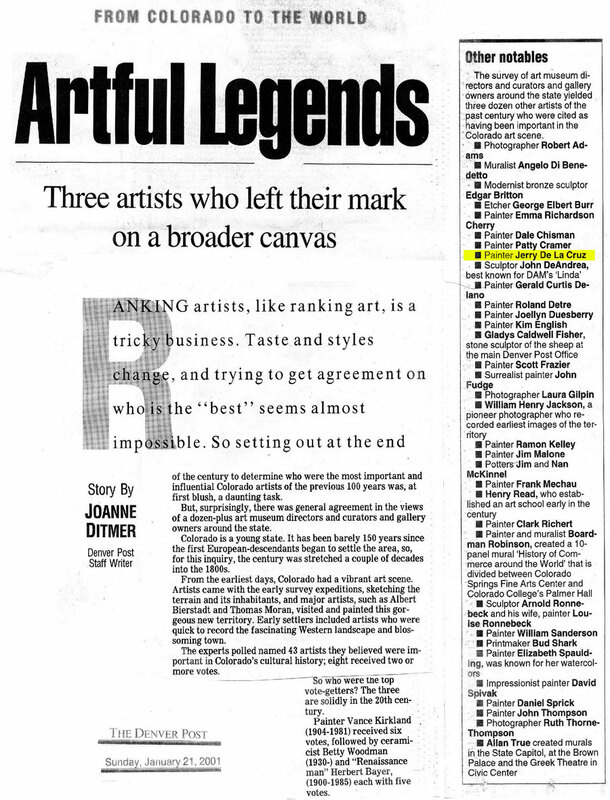 The resulting list identified 43 total artists spanning the 100 year history of Colorado art. The sole Spanish-surnamed artist on the list was Jerry De La Cruz.